Are you one of those people who crochets more in summer? Some of us definitely get our hooks out more in the summer months. There are a number of reasons for this. One is that crochet goes so well with cotton or other summer yarns. There is something very satisfying about the crisp stitches in cotton crochet and it is a great choice for smart tote bags and even summer hats. 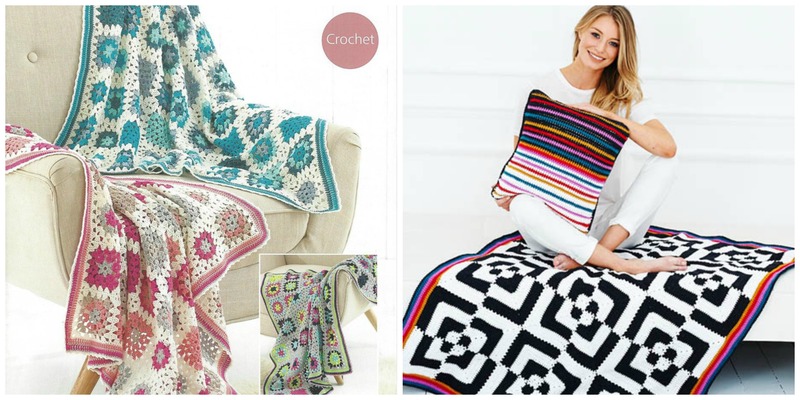 Then there is the portable nature of crochet – if you are creating squares of a blanket or cushion, you can take a small amount of yarn out into the sunshine or on a day out and make a few squares. If you leave the joining up to the autumn you won’t end up overheating under your work. Over all homewares and accessories are great choices for summer projects. Here are a few patterns to get you thinking. Let us know what your favourite summer crochet projects are. I am making the Eastern Jewels version of the Persian Tiles blanket. I like it because there are so many pattern and colour variations, so it is easy to keep track of what I am doing whilst following the pattern, and each round gives a sense of achievement. I find knitting harder to concentrate on in the heat, the tiles are just perfect.